Also serving communities of Parsippany. There are 12 Memory Care Facilities in the Morris Plains area, with 3 in Morris Plains and 9 nearby. The average cost of memory care in Morris Plains is $4,971 per month. This is higher than the national median of $4,650. Cheaper nearby regions include West Orange with an average starting cost of $4,359. To help you with your search, browse the 17 reviews below for memory care facilities in Morris Plains. On average, consumers rate memory care in Morris Plains 3.8 out of 5 stars. Better rated regions include Avon with an average rating of 4.0 out of 5 stars. Caring.com has helped thousands of families find high-quality senior care. To speak with one of our Family Advisors about memory care options and costs in Morris Plains, call (855) 863-8283. Morris Plains is a small borough in Morris County, New Jersey, where more than 15 percent of its 5,500 residents are seniors aged 65 and above. Some seniors in the area have been diagnosed with Alzheimer's Disease or another form of dementia and of those who have, many require specialized care in one of the area's 12 memory care facilities. These facilities, officially classified as assisted living facilities throughout the state, cater specifically to the needs of seniors with dementia, which affects an estimated 180,000 seniors across New Jersey. 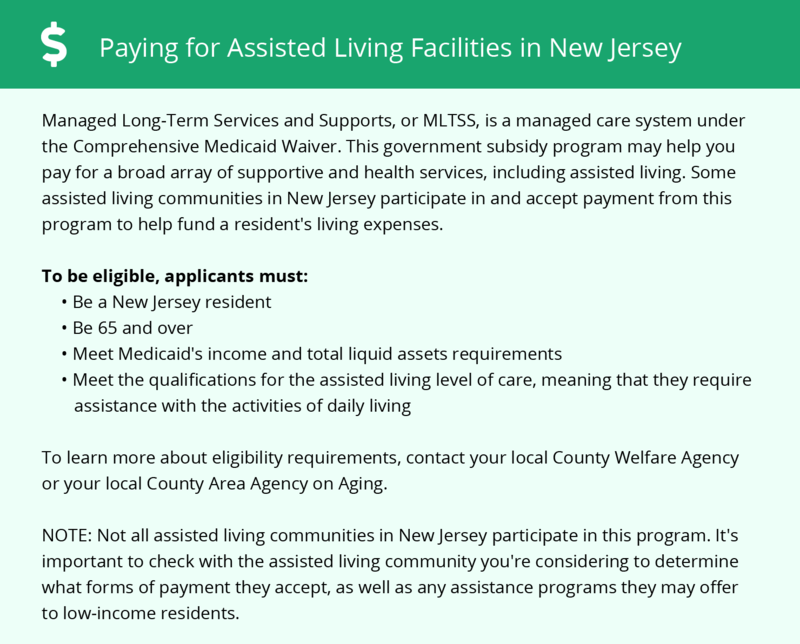 The New Jersey Department of Health and Senior Services provides provisions for the operation of assisted living facilities throughout the state. While particle pollution is low in Morris Plains and throughout Morris County, moderate levels of ozone pollution are present. Poor air quality may present complications for seniors, in particular, those with respiratory or cardiovascular conditions. The Morris Plains area is home to world-class medical facilities, including those that specialize in brain health and dementia care such as Saint Claire's Health in the event of medical emergencies or illness. The overall cost of living in Morris Plains is more than 67 percent above the U.S. average. The biggest factors contributing to high costs in the city are housing, groceries, and transportation, which are all likely to affect the cost of room and board in memory care facilities. For many families, especially those on a tight budget, the cost of memory care in the area may be a bit too pricey. Morris Plains is safer than 68 percent of U.S. cities and has considerably low violent crime and property crime rates when compared with other cities in New Jersey. Even though crime rates are low in the area, it's always best to check with memory care facilities that there are security measures in place to protect residents from crime. Memory Care costs in Morris Plains start around $4,971 per month on average, while the nationwide average cost of memory care is $4,800 per month. It’s important to note that memory care rates in Morris Plains and the surrounding suburbs can vary widely based on factors such as location, the level of care needed, apartment size and the types of amenities offered at each community. 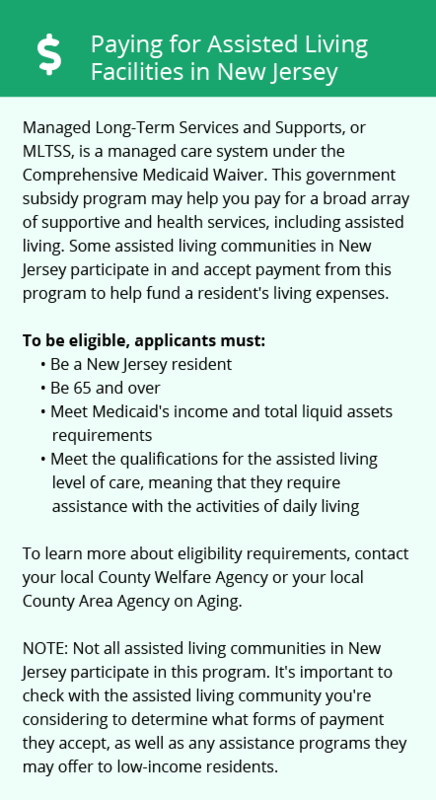 Morris Plains and the surrounding area are home to numerous government agencies and non-profit organizations offering help for seniors searching for or currently residing in an assisted living community. These organizations can also provide assistance in a number of other eldercare services such as geriatric care management, elder law advice, estate planning, finding home care and health and wellness programs. To see a list of free memory care resources in Morris Plains, please visit our Assisted Living in New Jersey page. Morris Plains-area assisted living communities must adhere to the comprehensive set of state laws and regulations that all assisted living communities in New Jersey are required to follow. Visit our Memory Care in New Jersey page for more information about these laws.